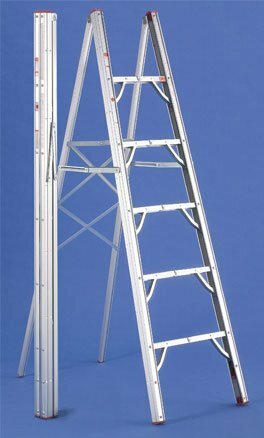 GP Logistics SLDS6 Ladder by GP Logistics at tradingmart.net. MPN: SLDS6. Hurry! Limited time offer. Offer valid only while supplies last. No-weld aluminum construction, with grooved steps, and anti-slip feet. Supports up to 225 lbs. Maximum standing height is 4 feet from the ground.